Phoenix, AZ, March 7, 2018 – ABI Multifamily, the Western US's leading multifamily brokerage and advisory services firm, is pleased to announce the Company's continued California expansion with the opening of the Sacramento Regional Office and addition of David C. Justesen. The company is excited to welcome David as Senior Vice President. John Kobierowski, Senior Managing Partner, states, We are excited to welcome David to the ABI Multifamily team. David's depth of industry knowledge, from both a brokerage and ownership operations perspective, make him an invaluable resource not only to his clients but the greater ABI organization as a whole. His leadership and respect in the marketplace are of incalculable value and is the solid foundation upon which ABI will continue to grow and thrive throughout California. Before joining ABI, David worked for United Capital Investments, an investment advisory company he founded where he specialized in multifamily properties. Over the past 35 years, David has been directly involved and instrumental in buying, selling, financing and owning over $1 Billion in investment properties. Immediately after graduating from college in 1983, David purchased his first portfolio of income properties in the San Francisco Bay Area. He then became actively involved in advising other Northern California property investors in the acquisition, disposition, financing and management of income properties throughout California, Nevada, Idaho, Washington, Arizona and Utah. 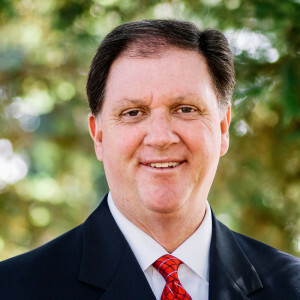 With 35 year of buying and selling apartments, David is very experienced in timing markets; knowing when to sell, purchase or reposition a property through restructuring debt and/or equity. ABI Multifamily is a brokerage and advisory services firm that focuses exclusively on apartment investment transactions. The experienced advisors at ABI Multifamily have completed billions of dollars in sales and thousands of individual multifamily transactions. ABI Multifamily incorporates a global approach with regional real estate expertise to successfully complete any type of multifamily transaction, regardless of size and complexity.